I know what my audience wants and needs and how to deliver it. I can better address them in a way that captivates them and concentrate on my 4%. I’m grateful to know that it’s not about posting content 3x/week, but posting content that LEADS to actionable items that will make you MONEY. Blog smarter! After a year of blogging, Jess Renzi was stuck. She knew she could help people. She knew she had information they needed. And she knew she had the potential to turn her knowledge into a profitable business. 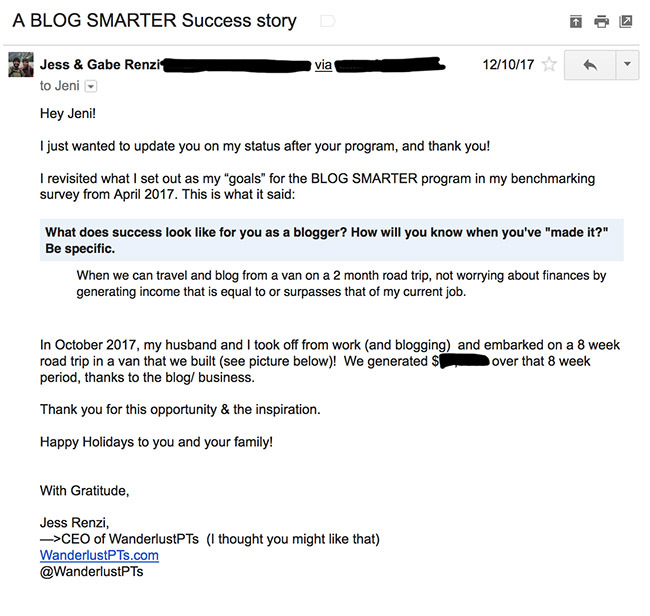 After being referred to the Blog Smarter program by a friend-of-a-friend, Jess stopped acting like a blogger and started running her site like a business. And now, 1 year later, she has multiplied her email subscriber list (24X what it was a year ago), tripled her income, and is poised to launch the course she developed last year for the third time. Wanderlust PTs helps new grads of physical therapy programs learn about travel + work opportunities and helps them make the transition to a travel therapy lifestyle. As traveling physical therapists (PTs), Jess and her husband Gabe had made their share of mistakes. 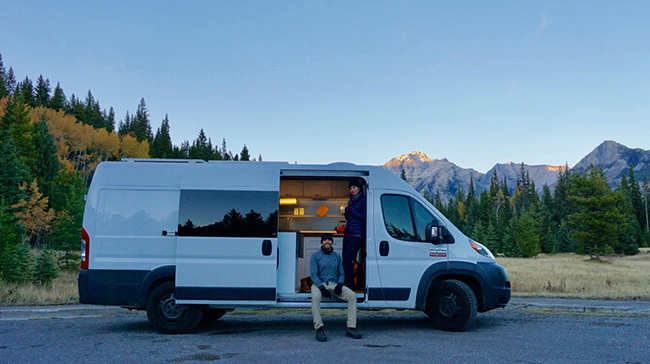 But after 7 years of learning, living the traveling PT lifestyle, and constantly getting asked questions about how to become a traveling PT, they decided to start a blog. How to connect with your target market and turn your blog into an actual business? Having already helped people in real life, Jess knew she had the ability to help more. She’d written some core blog posts and actually was generating some traffic (796 pageviews in March 2017), but no one was sticking around. And one new subscriber per month wasn’t going to pay the bills. Then, while visiting some friends in Colorado, Jess met a grad of the Blog Smarter program named Meghan. Narrowing her target market even more. Jess went step by step through the process of narrowing down her target market so she could restructure her business around connecting with — and helping — just that person. And after just going through “Empire Building 101,” the first lesson of the program, Jess said, “I’m feeling EMPOWERED. EXCITED. Like I’m back in college (which is a good thing). Ready to wake at 6am to listen to the next session. APPRECIATIVE.” And by the end of the program, after learning how to convert more visitors into subscribers and actually making those changes on her website, her confidence was skyrocketing. 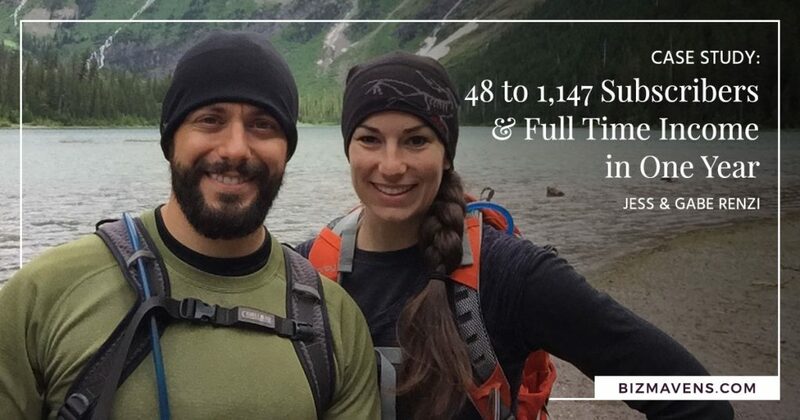 …and now, one year after graduating, her list has gone from 48 to 1,147 engaged members. Simply by learning how to listen to real, live members of her target market, Jess realized that she needed to do a better job of communicating on her site in a way that would resonate with her superfans. And once she started doing that? She started getting found. *Note: Blog Smarter does not specifically address SEO. Instead, it focuses on attracting + converting real people (not bots). Any Google ranking changes Blog Smarter grads experience is a side benefit. Although a great one. “My big aha moment in Blog Smarter was that my blog isn’t my business,” Jess says. “I needed something to sell or do.” So she decided to put all her energy into developing a consulting business and creating a course for her target Superfan. And now, one year later, Jess is taking the plunge: from physical therapist to full-time Biz Maven. So does that mean Jess is cranking out tons of blog posts to support her business? As successful as Jess is, it’s not because she’s been blogging every week — or even every month. Since focusing on building her consulting sessions and creating and promoting her new course, Jess has hardly blogged at all: she’s written just 6 posts in the past year, for a grand total of 17 blog posts on her site. She’s only writing blog posts that point readers to her products + services. She’s making every post count. To be clear, Jess’s page views have risen some in the past year, but not dramatically. But because of the business she has built beneath her blog, they don’t need to. After Blog Smarter ended, Jess spent the next 6 months researching how to create her own course and actually building it. 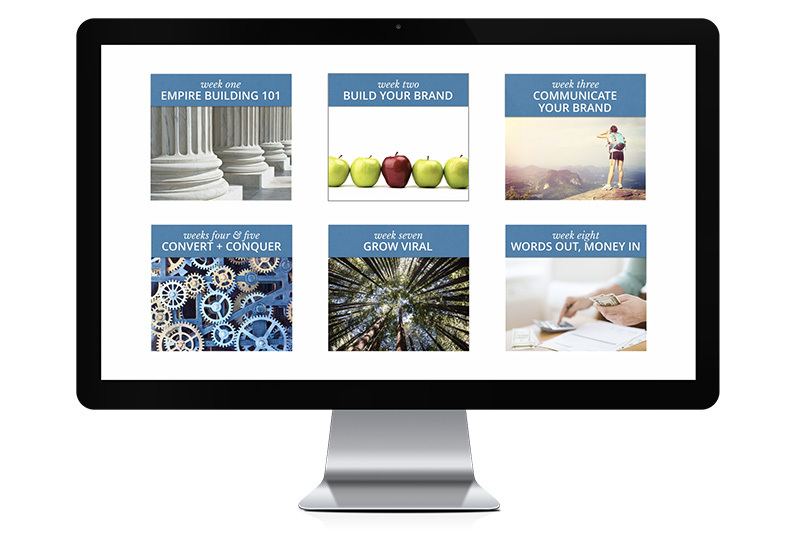 In the coming months, Jess is continuing to develop her marketing message and launch plan as she reaches more people with her course. Jess is continuing to work on her sales process, building her 1:1 coaching/consulting program. And she’s looking to hire a project manager to help her move through her to-do list. I’m no longer questioning what I should be doing. I have a definite roadmap and prioritized what I need to best grow. Ready to follow in Jess’s footsteps? If you’re ready to step up to Smart CEO, you’re invited to join the Class of 2019 for the Blog Smarter mentorship program. Mark your calendar for Monday, October 22nd, when enrollment will open.